It was once something of a tradition in Europe to make wines that were referred to as field blends. Those wines resulted either when varieties were intermingled in the same vineyard or when grapes from adjoining blocks were picked and fermented together. In the new world, the practice has been to pick and ferment varieties separately, blending them many months after the vintage. There is some logic to that. Not all varieties ripen at the same time. If there is ever a winery on the Okanagan that epitomizes the best of new world winemaking, it is surely Burrowing Owl Estate Winery. It came as a surprise to learn from Bertus Albertyn, the winemaker, that one of Burrowing Owl’s best blends, a red called Athene, actually is a field blend. It happened by chance and it was started by one of the predecessor winemakers. Bertus decided it was worth continuing the practice. The winery has two blocks of Syrah and Cabernet Sauvignon which began bearing fruit in the 2006 vintage. There was not much fruit that year or the next. The grapes were fermented together and the resulting wine ended up in various other Burrowing Owl wines. But the winery noted that the wine was quite interesting. So in 2008 and again in 2009, this co-fermented blend was barrel-aged on its own and released as Athene. The 2009 Athene is 52% Syrah, 48% Cabernet Sauvignon. The grapes from the two blocks were fermented together on their skins for more than two weeks. Between the time of fermentation and the maceration after ferment, the wine was on the skins for 25 days, picking up great colour and intense flavours. The wine spent 16 months in French and American oak before being bottled. The result is impressive. Here are notes on that one and on Burrowing Owl’s Cabernet Franc, both of which have just been released. Burrowing Owl 2009 Athene ($35). The winery’s tasting notes, prepared by a Master of Wine, aptly describe this as a “dark, brooding wine.” This is quite simply a ripe, full-bodied red (14.9% alcohol) that is already drinking well but will age well for perhaps 10 more years. It begins with attractive aromas of plum, black cherry, vanilla, coffee and spice. On the palate, there is a core of sweet berry flavour – blackberry, black currant – with a long and complex finish of red liquorice, chocolate and pepper. 92. Burrowing Owl 2009 Cabernet Franc ($33). Most tasters agree that Burrowing Owl consistently makes one of the best Cabernet Francs in the Okanagan. This is another big ripe red (alcohol of 14.5%) with the classic brambly aromas and flavours of the variety. The aromas recall blackberries and black currant jam. On the palate, there are flavours of black cherry, plum and fig. The tannins are plush and ripe. 91. The JoieFarm winery on the Naramata Bench releases most of its wines in the spring and the releases are wines from the vintage just completed.. But it has two wines that involve barrel aging; these are released in the fall, almost two years after the vintage in which they were grown. Here are notes on the two recent releases. JoieFarm Reserve Chardonnay 2009 ($29.90 for a production of 502 cases). This wine presents a creamy richness to the palate, reflecting both the warm vintage and the pains taken with the grapes in the winery, beginning with pressing whole clusters and berries. The wine was fermented in French barrels and puncheons (12% new, 36% one year old, 52% neutral). A quarter of the wine was fermented with natural yeast. All the wine went through malolactic fermentation and then was aged nine months in oak. The lees were stirred regularly, promoting the rich texture on the palate. The wine begins with aromas of orange and other citrus fruit. It has layered flavours of good marmalade and ripe pears, with a delicate touch of cloves on the finish. 91-93. JoieFarm PTG 2009 ($25.90 for a production of 900 cases). This is a blend of 63% Pinot Noir and 37% Gamay. It is worth noting that 10% of 2010 Gamay was blended into this to brighten the fruit flavours. PTG stands for “Passetoutgrain” – the term used in Burgundy for red wines made by blending these two grapes. The wine was fermented in stainless steel and then aged in a combination of French barrels and puncheons (13% of the oak was new). The result is what one looks for in a PTG – a cheerful, almost playful red beginning with aromas of spice, strawberries and cherries. On the palate, there are notes of cherries. My tasting companion found a hint of red liquorice which may be the same as what the winery, in its own notes, refers to tamarind. 89-90. After Andrew Peller Ltd. took over Calona in 2005, three major labels were brought into that sprawling winery. This is the home of Calona Vineyards, Peller Estates and (until, and if, a separate winery is built on Black Sage Road), Sandhill Wines. The wines from the three labels are remarkable distinct. Calona, where the winemaker is Sandy Leier, gets most of its grapes in the north Okanagan, producing wines that, for the most part, are fruity, uncomplicated and seldom oak-aged. Peller Estates, where the winemaker is Stephanie Leinemann, has one tier of wines that is affordable and a higher tier that, while still affordable by Okanagan standards, is more complex. The grapes are drawn from both Okanagan and Similkameen vineyards that are either owned by Peller or under contract to Peller. Sandhill, whose winemaker is Howard Soon, produces strictly single vineyard wines. The object is to showcase the individual terroirs. Sandhill never blends wines from more than one vineyard. Sandhill now has five single vineyard designations. The largest is the 174-acre Sandhill Estate Vineyard (SEV) on Black Sage Road, the likely home of the long-planned standalone winery. The 43-acre King Family Vineyard near Penticton, is owned by the Don and Rod King, who grow Pinot Gris for Sandhill. The seven-acre Phantom Creek Vineyard and the adjacent 12-acre Osprey Ridge Vineyard are owned by veteran vineyard managers who have been associated with Sandhill ever since the wines were launched in 1999. Finally, Sandhill has released its first wine, a Cabernet Merlot, from the 104-acre Vanessa Vineyard in the Similkameen. This vineyard, owned by a Vancouver developer, was planted about five years ago. It now sells all of its grapes to the Peller group of wineries. I have been able to taste many of the wines from these three producers at two recent tastings with the talented winemaking team. The quality is excellent to outstanding. Here are my notes. Calona Artist Series Gewürztraminer 2010 ($13.99). The spicy rose petal aromas of this wine jump from the glass. There are flavours of grapefruit with a spicy finish. 88. Calona Artist Series Sovereign Opal 2010 ($13.99). This is a Calona exclusive, a white wine with exotic spice on the nose and palate. 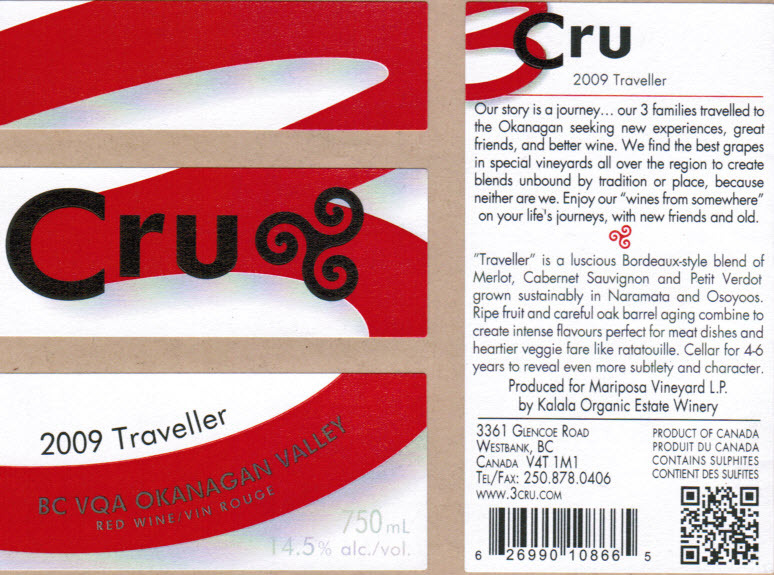 It is produced from a varietal developed at the research station in Summerland. Only one vineyard grows it. The wine is selling so well that the plantings are being increased from six acres to nine acres. This is a mouthful of fruit – peach and pink grapefruit – with just a hint of sweetness on the balanced finish. 89. Calona Artist Series Cabernet Sauvignon 2009 ($14.99). This is a medium-bodied, easy drinking red with soft tannins and flavours of cherries and red currants, with a touch of chocolate. 88. Peller Private Reserve Dry Riesling 2010 ($15.99). Here is a textbook Riesling, with a touch of petrol on the nose, tangy flavours of lime and grapefruit and a spine of minerals in the texture. The wine has a long, refreshing finish. 90. Peller Private Reserve Pinot Gris 2009 ($16.99). The wine begins with aromas of spice and apples. On the palate, there are layers of fruit flavours – apples, pears, grapefruit. The finish is crisp. 89. Peller Private Reserve Cabernet Sauvignon 2008 ($19.99). The wine begins with aromas of sage and red berries. It has flavours of currants and blackberries, with hints of chocolate and tobacco on the finish. The texture is generous. 89. Sandhill SEV Chardonnay 2010 ($17.99 for a production of 3,244 cases). This wine was half fermented in barrel, half in stainless steel. The result is an excellent Chardonnay where the oak notes are subtle and in the background, with the fruit aromas and flavours – citrus, apples, pears, spice – out in front. The finish is crisp and refreshing. 90. Sandhill SEV Sauvignon Blanc 2010 ($18.99 for a production of 937 cases). Howard Soon confides that this is the best Sauvignon Blanc he has made. I would not dispute that. The zesty freshness of the wine takes one away to New Zealand, at least in style. The wine has aromas and flavours of lime, grapefruit, with an accent of herbs and minerals. The clean, fresh finish lingers forever. 92. Sandhill King Family Pinot Gris 2010 ($18.99 for a production of 4,634 cases). This is a lovely glass of fruit – aromas and flavours of pears, apples, melon and peaches. With just a trace of residual sugar to balance the acidity, the wine has an appealing texture and a long finish. 90. Sandhill Small Lots SEV Single Block Chardonnay 2009 ($30 for a production of 190 cases). This wine is made from grapes grown on a specific block on the Sandhill Estate Vineyard and kept aside because of the special quality of the fruit and the wine. This wine was fermented in barrels and aged for eight months in new French oak. The toasty bacon fat aromas of the new oak add complexity without overshadowing the rich tangerine and butter flavours of the wine. 92. Sandhill Small Lots Osprey Ridge Vineyard Viognier 2010 ($28 for a production of 615 cases). This full-bodied wine begins with floral and apricot aromas. In the palate, there are intense flavours of melon, apricot and pineapple.92. Sandhill SEV Merlot 2009 ($19.99 for a production of 3,000 cases). Juicy and delicious, this wine begins with aromas of blueberries, blackberries and plums and delivers all of those flavours to the palate. The tannins are ripe and supple. 90. Sandhill SEV Cabernet Merlot 2009 ($19.99 for a production of 3,800 cases). This is a blend of 58.2% Cabernet Sauvignon, 39.3% Merlot and 2.5% Cabernet Franc. A full-bodied red, it has aromas of black currants and flavours of black currants and black cherry, with a hint of chocolate and earthiness on the finish. 90. This wine is released to restaurants and other licensees. Sandhill Vanessa Vineyard Cabernet Merlot 2009 ($19.99 for a production of 5,800 cases). This release, which is currently available in 122 Liquor Distribution Branch stores in B.C., is Sandhill’s first release from a Similkameen vineyard. 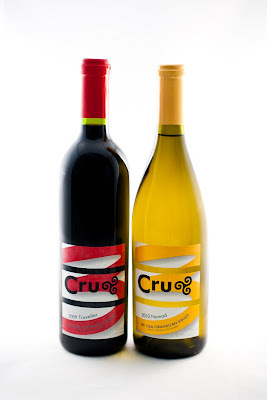 The wine has sweet berry aromas and flavours, with spicy black cherry flavours on a note of vanilla. 88. Sandhill Small Lots SEV Sangiovese 2008 ($30 for a production of 430 cases). This is the only Sangiovese VQA wine grown and produced in Canada. What this wine shares with Chianti is the classic aromas of dried fruits and cigar box. On the palate, there are flavours of cherry, pomegranate and spice. The wine is finished to total dryness. 90. Sandhill Small Lots SEV Single Block Merlot – C8 2008 ($40 for a production of 119 cases). This is a dense, concentrated wine, built to be cellared a few years. It has aromas of black currants, coffee and tobacco with flavours of plums, cherries and spice and a hint of cedar on the finish. 92. Sandhill Small Lots Phantom Creek Vineyard Petit Verdot 2009 ($30 for a production of 175 cases). This wine, not yet released, begins with the alluring perfumed bouquet of this variety, continuing to flavours of cherry and mocha. The tannins are firm but ripe. 91. Sandhill Small Lots Phantom Creek Vineyard Syrah 2009 ($40 for a production of 150 cases). This is a big, ripe wine with alcohol of 15.1% but with so much fruit and texture that the alcohol is in balance. There is pepper both in the aromas and on the finish, with gamey, meaty flavours, along with black cherry and fig. 92. Sandhill Small Lots Phantom Creek Vineyard One 2008 ($35 for a production of 498 cases). This vintage, which is sold out at the winery, is a blend of 68% Cabernet Sauvignon, 17% Petit Verdot, 9% Malbec, 3% Cabernet Franc and 3% Merlot. The Cabernet Sauvignon delivers a core of sweet fruit to a wine with aromas of black berry, black currant and spice and flavours of cassis, cherry, blueberry, with a note of oak on the finish. 94. Sandhill Small Lots SEV Two 2008 ($35 for a production of 336 cases). This is a blend of 45% Cabernet Sauvignon, 35% Merlot and 22% Cabernet Franc. Once again, there is an appealing core of sweet fruit, with aromas and flavours of black currants and spice. There are notes of leather and tobacco on the finish and the structure is firm. 92. Sandhill Small Lots SEV Three 2008 ($35 for a production of 266 cases). This is Sandhill’s version of a Super Tuscan wine, a blend of 55% Barbera, 36% Sangiovese, 9% Merlot. The Barbera gives this generous red a rustic personality, with flavours of red fruit and mocha and a touch of earthiness in the mid-palate texture. 91. Just in time for the fall Okanagan Wine Festival, Tinhorn Creek Vineyards has released its three premium red wines and its regular Merlot. The regular Cabernet Franc, also reviewed here, was released in August. These are all first-rate wines and they come in what has been an eventful year at this south Okanagan winery. Two developments stand out in particular. 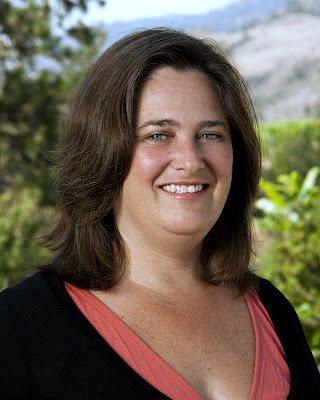 In June the winery announced quietly (on its website and not with a widely distributed news release) that winemaker Sandra Oldfield had also become the winery’s president and chief executive. This may actually be a new position at Tinhorn Creek. A corporate profile that the winery published in 2007, for example, showed Kenn Oldfield, Sandra’s husband, as general manager while Calgary partners Bob and Barbara Shaunessy are listed as proprietors and Sandra as winemaker. In 2008 Shaun Everest, the winery’s former marketing manager, became general manager. Judging from a reference in a winery news release last year, Kenn Oldfield’s new title is chairman. Since the management at Tinhorn Creek has always been somewhat collegial, perhaps one need not attach that much weight to titles. Even so, Sandra’s title of CEO underlines the leadership she has brought to the British Columbia wine industry. Born in California but a Canadian citizen since 2002, Sandra became Tinhorn Creek’s winemaker in 1995 while still studying at the University of California in Davis. She finally found time in 2002 to complete the work needed for her master’s degree in enology. The other development at Tinhorn Creek this year was the opening in April of Miradoro Restaurant at the winery. Operated in partnership with Vancouver restaurateur Manuel Ferreira (owner of La Gavroche), Miradoro has been busy all summer, serving excellent cuisine in a room with a view to die for. The new restaurant has solidified Tinhorn Creek’s status as a destination winery. For most consumers, the wines are reason enough to visit this hillside winery. Cleverly, the restaurant is licensed to sell the wines for takeout at tasting room prices when the wineshop is closed. The winery releases its wines in two tiers, with the reserve tier under the label, Oldfield Series. Here are my notes. Tinhorn Creek Merlot 2009 ($18.99 for a production of 8,878 cases). This is a big, ripe red with more than enough fruit and richness to absorb the 14.8% alcohol without a trace of hotness. It begins with aromas of currants, blackberries and sage. The palate has layers of fruit flavours – blackberry, black cherry, plums – with a touch of sweet tobacco on the finish. The wine manages to be accessible as well as complex. While it is drinking well now, it will cellar nicely for three or four years. 90. Tinhorn Creek Cabernet Franc 2009 ($19.99 for a production of 5,172 cases). On occasion, Sandra has remarked that this is her favourite red. The winery’s Cabernet Francs have been consistently tasty (with the exception of the 1999, a really tough vintage for everyone). This is a big ripe 14.8% alcohol red, with brambly aromas and flavours. The winery’s own notes speak of “forest floor” characteristics. I grew up on the Prairies where there were no forests. I find raspberries and red currants and an appealing vibrancy. 89. Tinhorn Creek Oldfield Series 2Bench Red 2008 ($34.99 for a production of 731 cases. The second vintage of Tinhorn Creek’s new Bordeaux red, this is a blend of 40% Cabernet Sauvignon, 40% Merlot and 20% Cabernet Franc, each of which was fermented separately and blended later. The wine had 18 months in new French oak and was aged in bottle another 18 months before release. This is a rich and concentrated red, with 15% alcohol that, once again, is not obtrusive. It begins with aromas of mint, black currants and black berries and has flavours of plum, cherry and cassis. Prairie people will also recognize a robust hint of chokecherry. 91. Tinhorn Creek Oldfield Series Merlot 2008 ($27.99 for a production of 1,200 cases). This is a blend of 87% Merlot enhanced with 11% Cabernet Franc and 2% Syrah. The wine also had 18 months in French oak (a mix of new and old) and about 15 months in bottle before release. Rich and with 15% alcohol, this is a sturdy wine, as I discovered by chance. I began making notes prior to a bit of travelling and then a head cold. A partial bottle went into the refrigerator. To my delight, it was still delicious week later. The wine begins with a dramatic aroma of herbs, plums and currants and delivers juicy flavours of plum, currants, black cherry, blueberry, chocolate, leather. There is even a hint of pepper on the finish. 92. Tinhorn Creek Oldfield Series Syrah 2008 ($34.99 for a production of 528 cases). The winery has only begun making Syrah in recent years, with very good results. This dark-hued wine (alcohol is 14.1%) begins with the classic aroma of pepper and red fruit. On the palate, there are flavours of black cherry and fig, with leather, black liquorice and pepper on the finish. Think of the elegance and minerality of a Rhone Syrah. 92.